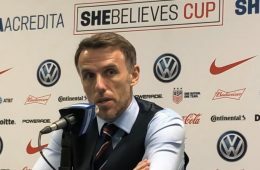 Toni Duggan admits she’ll be giving Phil Neville and his England staff the “strengths of weaknesses” of her Barcelona teammates as England prepares to face Spain in Swindon on Tuesday night. 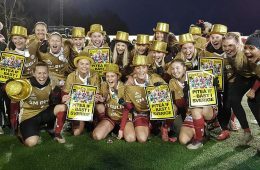 There are nine of Duggan’s current club teammates in Jorge Vilda’s squad and every detail could be crucial as the Lionesses look to bounce back from Friday night’s defeat at home to Canada at Duggan’s former club stadium in Manchester. 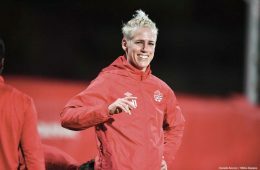 Canada's Sophie Schmidt will undoubtedly be one of the most experienced players on the pitch when Canada and England face-off for the first time in four years in Manchester on Friday night. The 30-year-old midfielder with two Olympic medals to her name is fast approaching 200 caps for her country and preparing for her fourth World Cup. The midfielder was also in the team which fell to England in front of 54,000 of their own fans in Vancouver at their home World Cup in 2015, but Schmidt is expecting a different challenge this time around with a change of head coach for the Lionesses. England captain Steph Houghton is relishing the prospect of captaining her country at her club home when the Lionesses face Canada at the Manchester City Academy Stadium on Friday night. 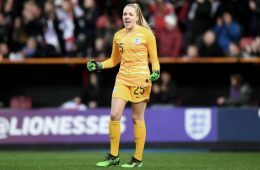 It will mark the first time the sides have met since the 2015 World Cup quarterfinal when Houghton captained her side to a famous victory and a first semifinal for the women's team.